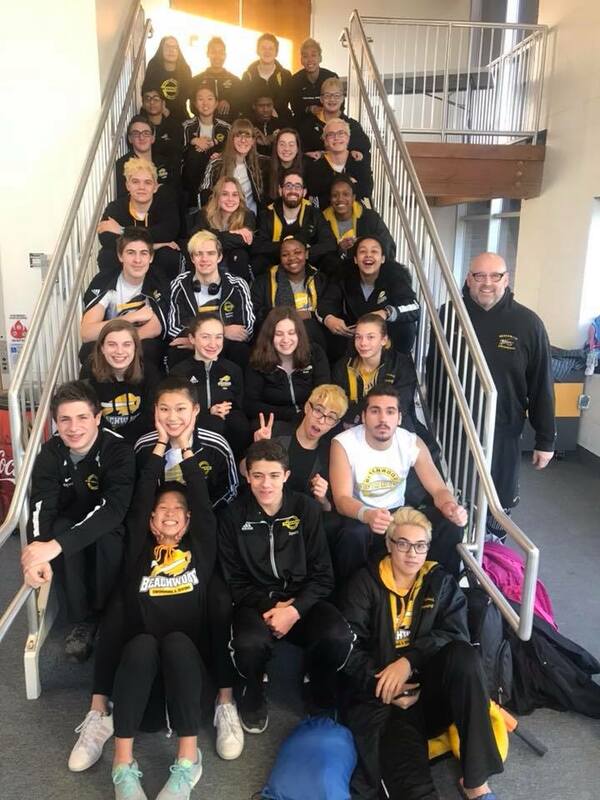 The Beachwood Bison Swim Club is open to all communities! Visit the Beachwood Bison website now for complete information. Please remember to schedule ACT/SAT, OMEA(usually conflicts with CVC and Sectionals) and all other potential events around the swimming schedule. PLAN AHEAD NOW! TEAM APPAREL IS REQUIRED SO SHOP NOW! High School swimming begins Friday Nov 2nd. All are welcome and subject to tryouts for the team where you will be evaluated. You will be expected to commit to the whole season and practice schedule as well as all swim meets. You will be punctual and ready to work with all your proper swimming apparel and necessary equipment. You must maintain a great attitude and demonstrate the ability to be a team player. You must demonstrate that you know all four swimming strokes. Some swim team training experience would be helpful but not necessary. If you need swim lessons you will be directed accordingly to our swim lessons program. If you are able to demonstrate the necessary skills to train with the team you may tryout again. **Lettering: All practices and meets are mandatory(as well as any added to this schedule), swimmer must qualify a relay or individually to districts. **Email communication is mandatory from your swimmer and Brad for all issues. All athletes are required to shave for championships. MS begins practices between Oct 29 - Dec 21. All practices and meets are required. **Each swimmer must communicate with Brad by email for any issues.